The Mauviel flambe (French for flamed) pan is from the M'minis collection and allows you to pour flaming liquids. You will be able to safely pour flaming liqueurs over desserts or delicious coffee drinks. 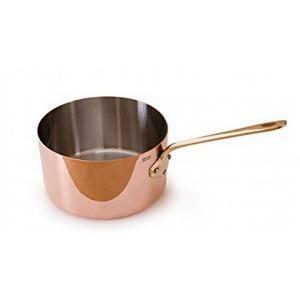 The flambe pan is made from 20% copper and 80% stainless steel. It features a comfortable and long handle made from bronze and attached by rivets. 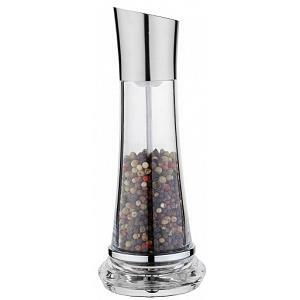 The long handle of the ladle ensures you are always a safe distance away from the flaming liquids. 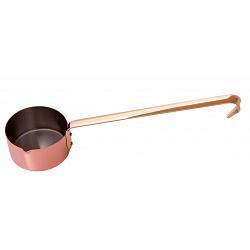 The Mauviel flambe ladle has a capacity of 0.3L / 0.4qt and diameter of 9cm / 3.5 inches. The flambe ladle can be used on gas, electric, and halogen heating surfaces. The pan has a lifetime warranty and was proudly made in France.